Are there wolves in Vermont? Why are wolves so scary and popular? What do Native Americans, wolves, and wild horses have in common? 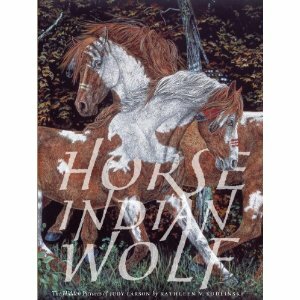 Book author Kathleen Kudlinski will present an activity filled family program that features her new book Horse Indian Wolf: The Hidden Pictures of Judy Larson right here at the Springfield Town Library on Saturday, November 6 at 10:30 am. Please join us! The program features Native American Snacks, Face Painting and Scratchboard! Enjoy one of the many stories about the beloved black Labrador Retriever named Sally.